I was super looking forward to this day because we get to go out of Seoul. 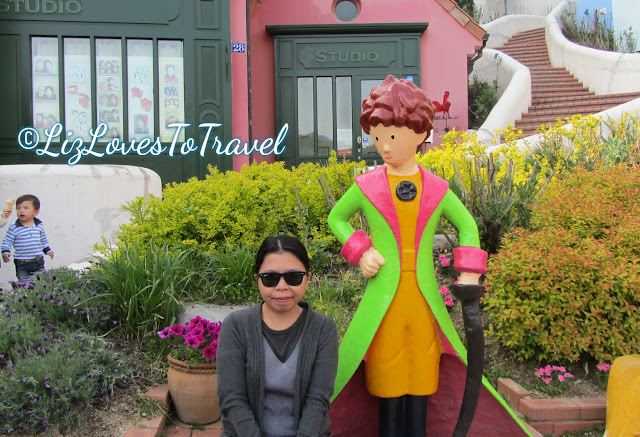 On our 3rd day, we visited the Gapyeong county located in the province of Gyeonggi. 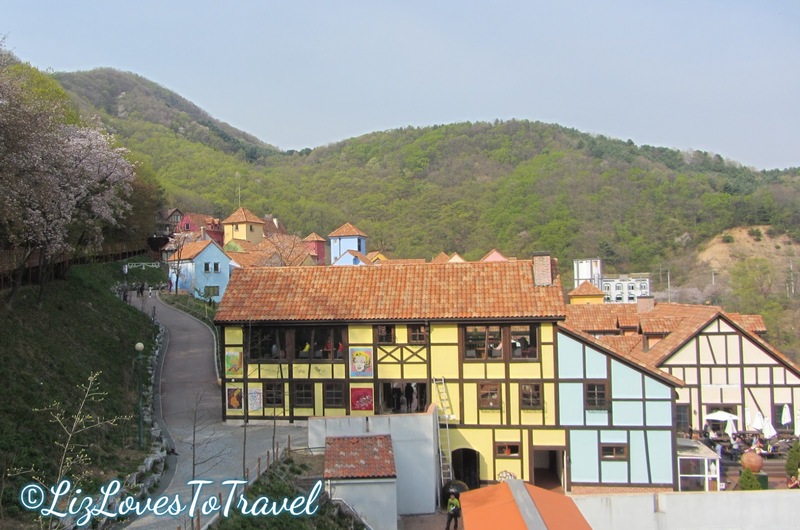 This area is known for its natural beauty and mountainous landscapes. It'll take us about 2 hours to our first destination, so we woke up at around 7:00AM. Note: It's really a struggle to get out of bed on a cold spring morning! We planned our day trip itinerary the day before. So when we got up in the morning, we already know where we're heading and what transportation to take. This is all DIY. 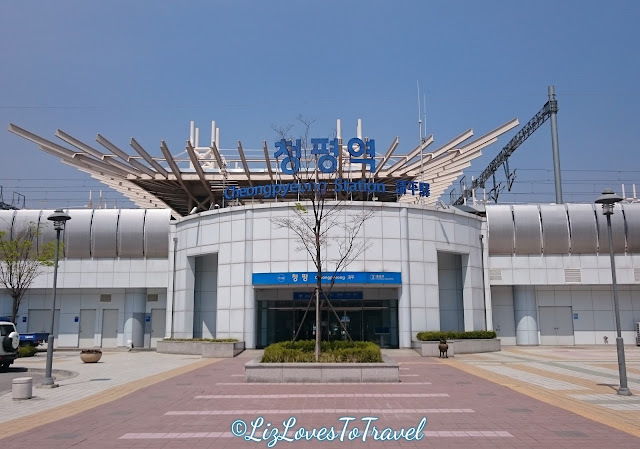 Here's how we went to Gapyeong by subway train. Our starting point in Seoul was in Hongdae. It was multiple transfers but all their subways are interconnected and super efficient so it wasn't really a problem. 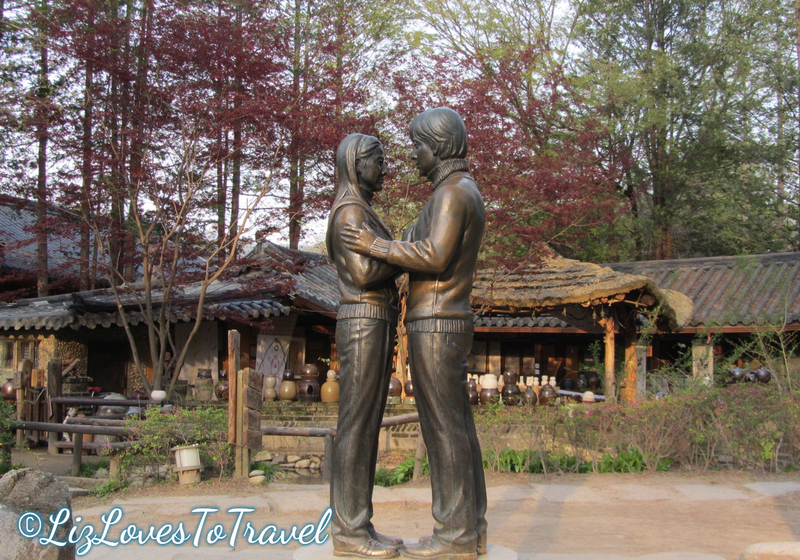 On our way to Cheongpyeong, we noticed that this is a quite popular route for the locals too. In the train, we were riding with so many oldies geared up for hiking. Some rowdy ajummas are even shoving past us. 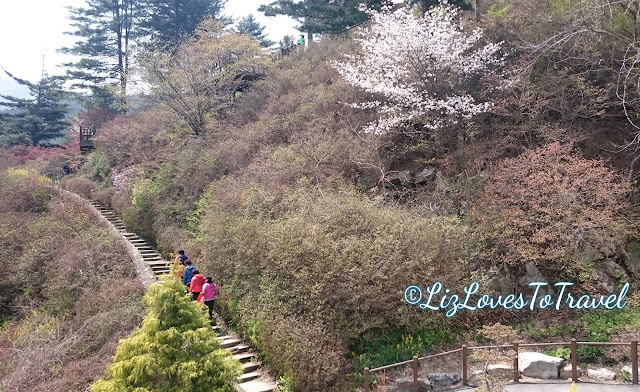 But it's cool to find out that old Korean people loves to hike and stay fit. 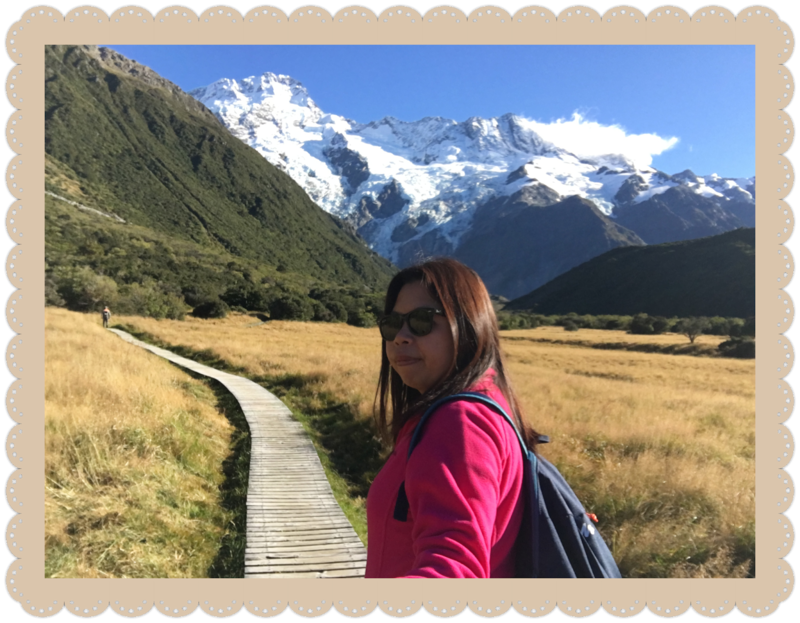 Those things that we saw in KDramas are real! 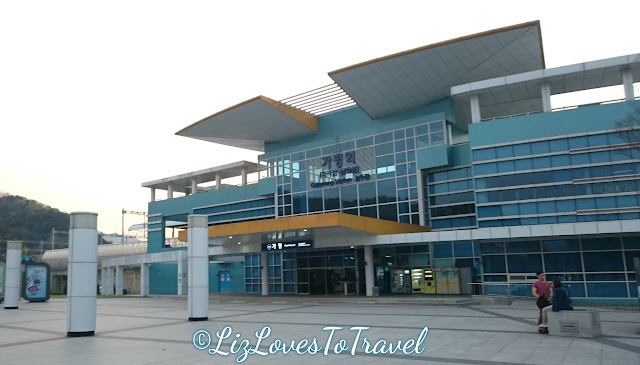 Cheongpyeong Bus Stop: probinsya feels... mabundok tas walang tao! Just walk out of the subway station and find the bus stop where you can take the bus going to The Garden of Morning Calm. 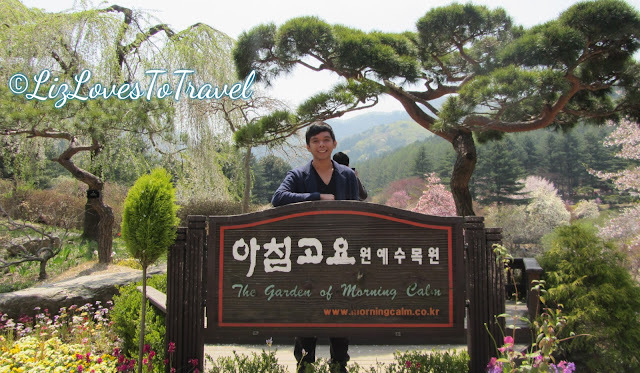 We availed the Gapyeong City Tour Bus ticket for KRW 6,000. With this ticket, you can already visit the major attractions in the area without having to worry about your transportation. Most people starts with Gapyeong then end their tour in Cheongpyeong. We did it the other way around because we all feel that we would want to spend longer time in The Garden of Morning Calm hence we started in Cheongpyeong. We waited for quite a while because the bus leaves somewhere between every 45 minutes to an hour. There is a tour bus timetable posted in the bus stop so you will know what time the next bus is coming. We made it here at around 11:30 AM. The bus from Cheongpyeong Station took about 25 minutes. The weather was very pleasant. It wasn't very sunny so it was perfect for a walk. The moment we walked down, we were already greeted by beautiful trees in different spring colors. We got really excited! Feel na feel mong nasa ibang bansa ka, kase wala namang ganito sa'tin haha! 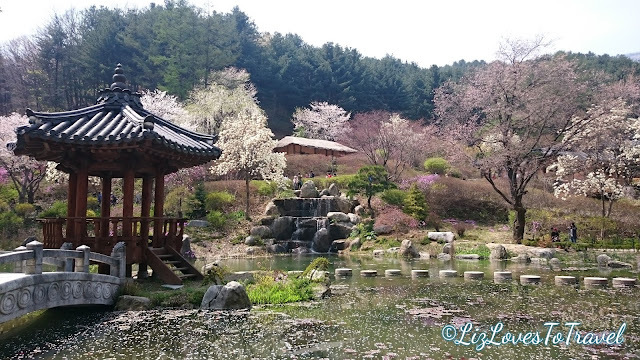 Indian Poet, Rabindranath Tagore called Korea as The Land of the Morning Calm. This is what inspired the garden's name. 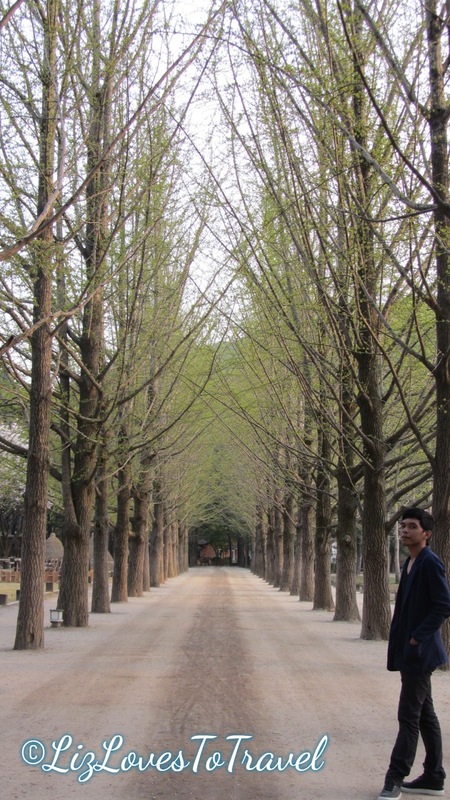 It is considered as the oldest private garden in Korea. The garden is 30,000 sqm so no matter how many people are there, you will always find a quiet spot for yourself. It has comely manicured gardens, scenic pathways and dainty flower beds. I super duper love this place! 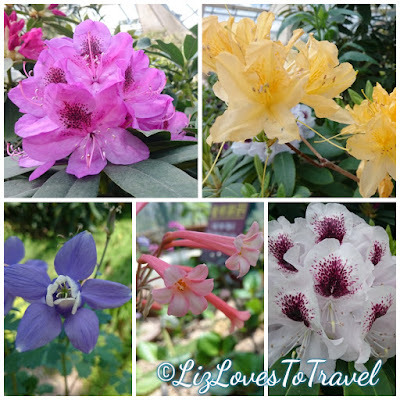 It has 20 different themed gardens that houses approximately 5,000 kinds of plants. 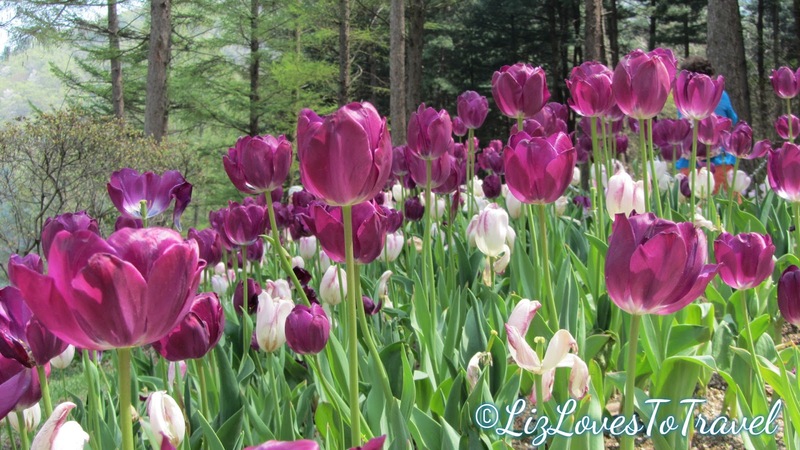 One of my favorite areas is the Moonlight Garden which is full of tulips of different colors. I think we spent 2 to 2.5 hours here. As expected, we enjoyed the place a lot. I think we came during the best season to visit the garden. 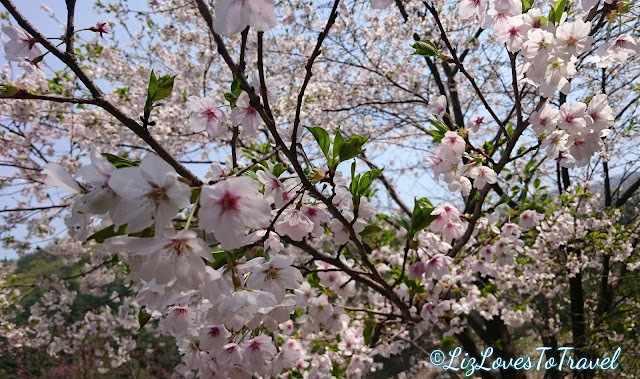 Spring blossoms were so enchanting! 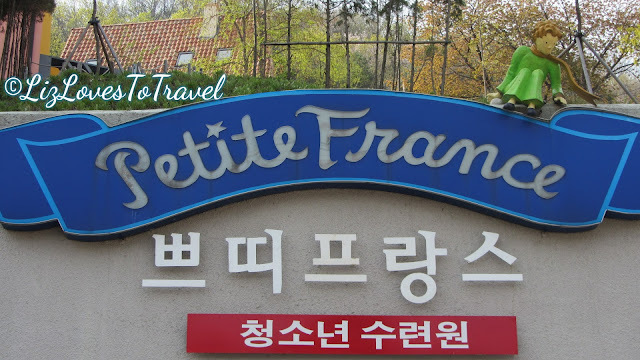 Our second stop that day was Petite France. The first time I saw this place was in Kdrama, My Love from the Stars. But it wasn't the only reason why I wanted to see this place. I truly loved Antoine de Saint-Exupéry's The Little Prince. This small village was built in 2008. This is said to be based on a French rural village and The Little Prince. You can find The Little Prince in different parts of the park. 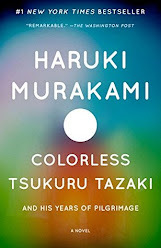 Most of them were depicting scenes from the novel. 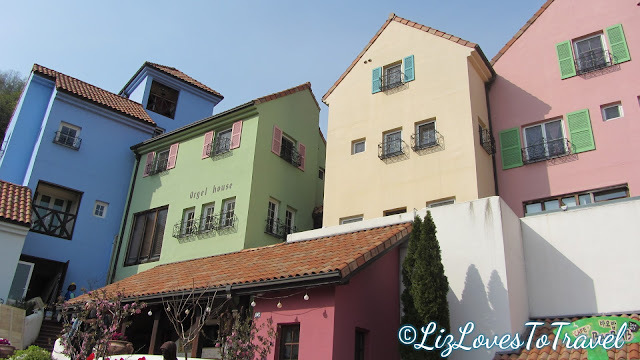 The village has 16 French-style buildings. Some of the attractions you can find are the European Doll House, Saint Exupery Memorial Hall, Antique Exhibition Hall and the Orgel House. I don't know but I didn't enjoy the indoor attractions. I just like admiring the village from the outside. It's just the atmosphere that I like here. It is a small village so, it won't take you that long to see everything here. It took us around 45 mins from Petite France to the port going to Nami. Then we rode the ferry which only took around 10 mins to the island. Upon arriving, I already see the paths where Bae Yong-joon and Choi Ji-woo were biking in Winter Sonata. It instantly played in my mind haha! I won't forget that drama. It was one of the first Kdramas I watched that made me hook into watching more. Back then, this tiny leaf-shaped island is only becoming an island during seasonal rains. 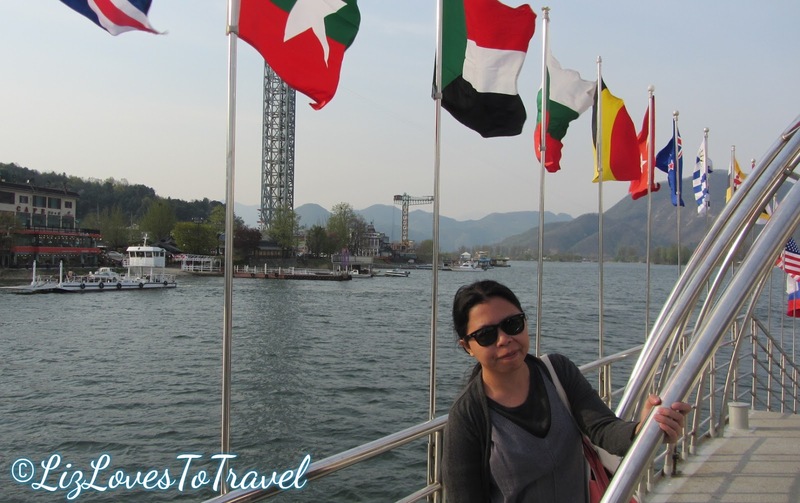 But when the Cheongpyeong dam was constructed, it became an island all year long. It got its name from General Nami who is said to be buried there. The island has an area of 460,000 sqm formed with pebbles and sand. There are chestnut and poplar trees all throughout. 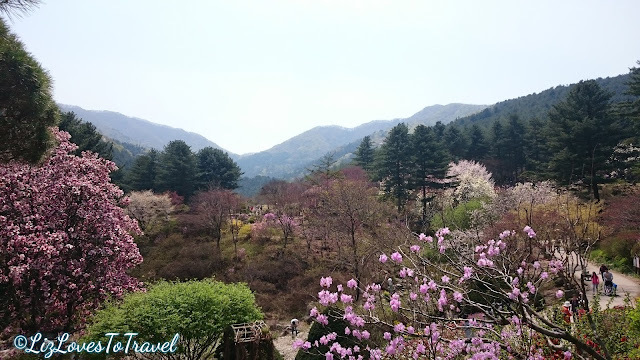 There are 6 walking paths which offers different views for every season. I think this island is beautiful in any season. We actually didn't have enough time here. We probably just went around for an hour because we arrived quite late already. I will surely revisit this island in the future. By the way, this place is very popular with tourists. It's really hard to take good photos because people are everywhere especially in the Metasequioa Lane. We have to wait for a long time, be quick and get the right timing in order for us to get the shots that we want. You know those people who takes a hundred shots before they leave and give chance to others? Ugh! It made the experience a little less enjoyable. 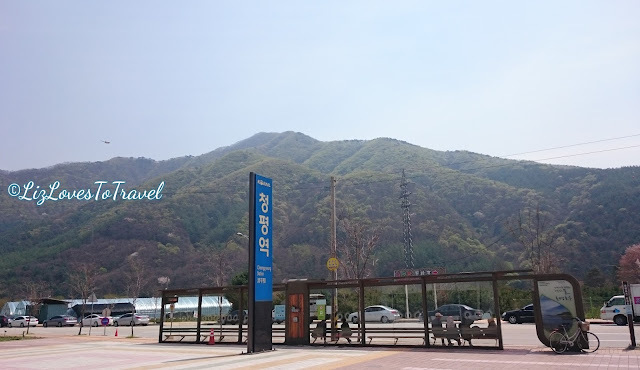 Upon coming back from Nami, we rode the bus going to Gapyeong Station. 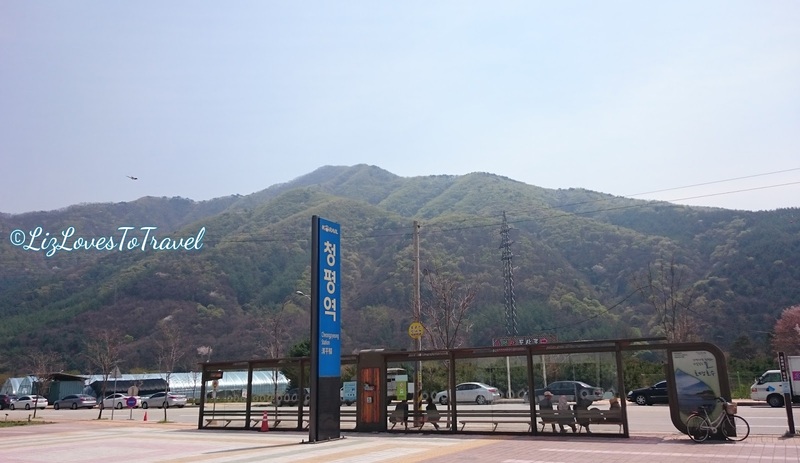 Along with Cheongpyeong, Gapyeong is also in Gyeongchun Line. You just have to trace back the same subway route you took from Seoul.